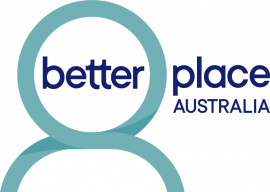 Better Place Australia is a non-profit, inclusive organisation providing affordable services for individuals, couples & families facing parenting, relationship, mental health or financial issues. We provide support services to over 8000 clients across 21 locations throughout Victoria. Family Dispute Resolution Professional support for families who need help resolving disputes about children or financial matters. The law requires separating families who have a dispute about children to make a genuine efort to try to sort it out through family dispute resolution (FDR) before filing an application for parenting orders in Court. It is a practical, less stressful and inexpensive way for separating families to sort out these arrangements. In Wyndham we are co-located with IPC Health at the Wyndham Hub. Financial Counselling and Capability Practical strategies, support and vital information for people who need help managing their finances, want to learn about managing their money or are struggling with debt. Guided negotiation between people in conflict. For example, between teens and parents about behavioural or communication issues, or between siblings about ongoing care & financial arrangements for elderly parents. 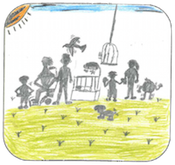 Assistance and guidance from a compassionate and skilled practitioner who understands how children communicate, the difficulties children face and how best to resolve them. Our fees are competitive and we have the capacity to reduce the fees for families experiencing financial hardship. The cost is partially funded by the government. The balance is covered by minimal fees dependant on your personal circumstance.